The new Greenstar i has been developed by improving on the popular features of the Greenstar i Junior. The Greenstar i model is set to improve water performance in small to medium sized properties with one bathroom. The Greenstar i includes a pre-assembled wall frame with mounting hooks; and with the same compact dimensions as the Greenstar i Junior, replacements will be simple. 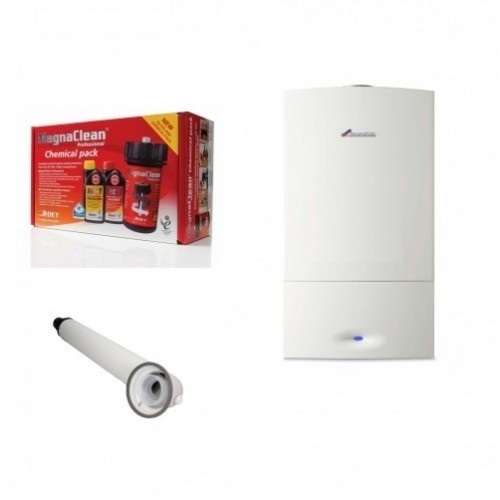 All components within the boiler are serviceable from the front, and there is no requirement to dismount the boiler from the wall to service its expansion vessel, or to break the combustion chamber seal to access the fan. A Benchmark menu within the boiler control software also simplifies completion of the Benchmark logbook. The new boiler contains a larger condensate syphon to tackle the issue of frozen condensate, while the boiler’s Heatronic control panel showcases an all-improved interface, with text descriptions or error codes enabling homeowners to communicate their needs more effectively.